HOLD THE DARK is the latest film from director Jeremy Saulnier (GREEN ROOM, BLUE RUIN) whose specialty appears to be moody thrillers. 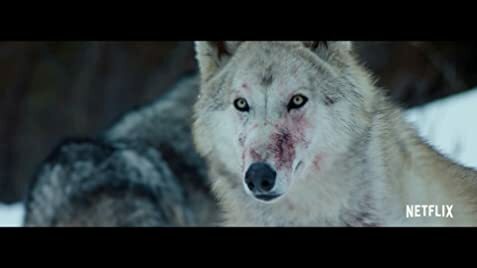 In HOLD THE DARK, written by Macon Blair adapted from the novel by William Giraldi, the film begins with a child playing outside in the winter snow when he sees a pack of wolves. The child goes missing. His home is one of a handful of trailers on the edge of the wilderness in Alaska. His father (Alexander Skarsgård) is serving in the Middle East and his mother (Riley Keough) seems to be succumbing to cabin fever. 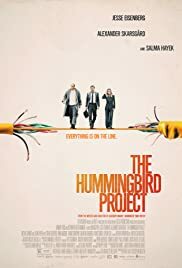 She calls in Russell Core (Jeffrey Wright), a writer and expert on wolves; she believes the creatures took her boy and hopes Core can find him. The film is quite different for a number of reasons that enable it to stand out. The first is the wilderness setting. 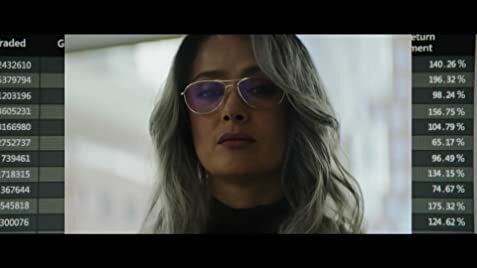 The second is an unlikely older unattractive looking hero who disappears for a length of the film. Anyone can be killed off in the story. The film is also a bit over the top in violence that undermines the authenticity of the story. 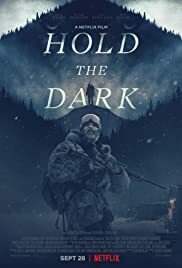 Still, HOLD THE DARK is an apt thriller. I don’t want people to know too much about me. It’s easier for people to suspend belief that way. There’s a risk when people see you in a part and they’re watching Alexander Skarsgard. Also, I learned from my father to keep your integrity and protect your family…there are certain things that you can talk about and certain things you shouldn’t talk about.